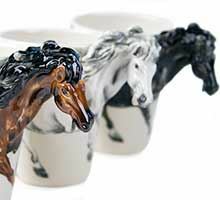 Tremendously popular and very charismatic. 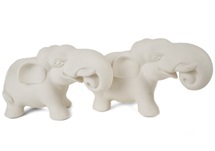 This big friendly animal is associated with enormous meaning as it not only represents wisdom and divine knowledge but it is also a symbol of good luck. 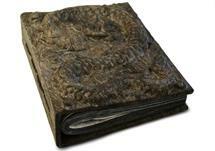 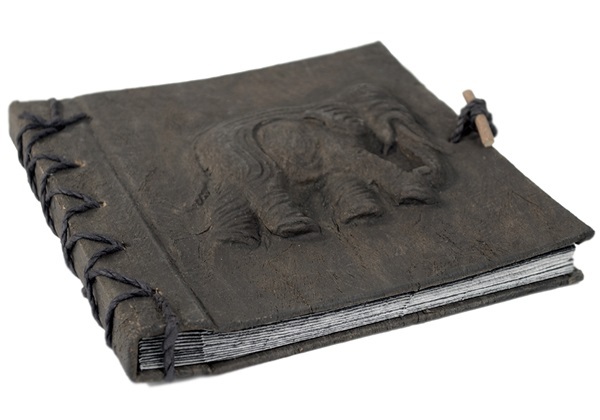 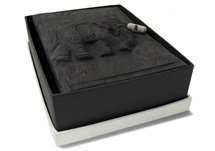 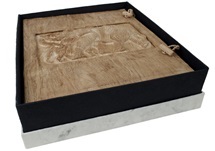 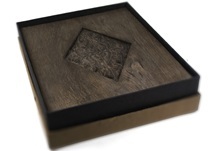 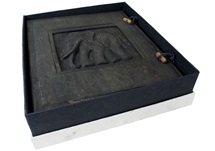 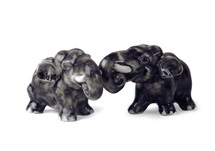 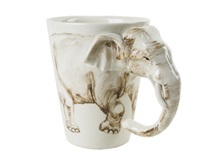 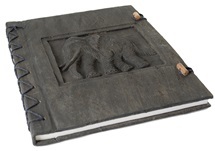 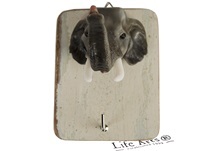 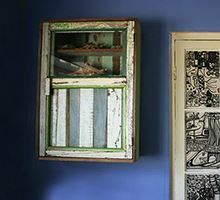 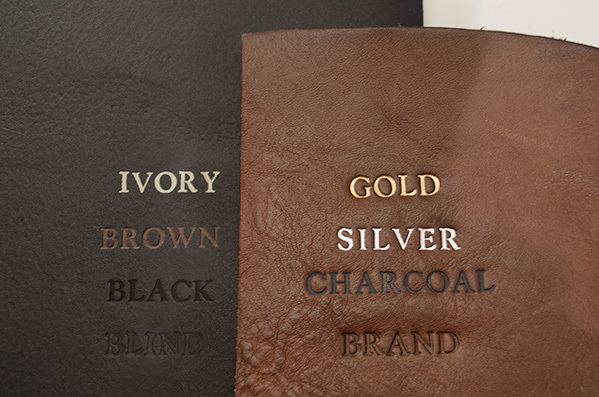 Handmade from eco-friendly and sustainable tree bark which lends each Elephant Photo Album unique characteristics. 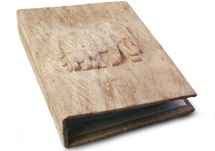 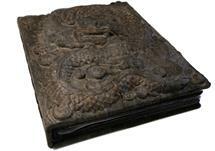 The nature of the bark highlights the individuality of the three-dimensional hand embossed elephant on the cover. 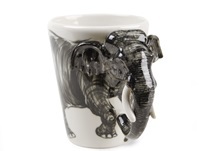 Big on charm and a bold beautiful collection. 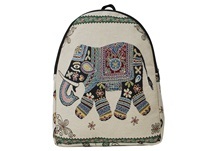 Perfect to house your traveling pictures. 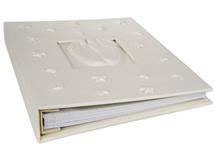 Each album is hand bound with creamy leaves of 100% acid-free handmade paper interleaved with a thin transparent sheet which will protect your photographs forever. 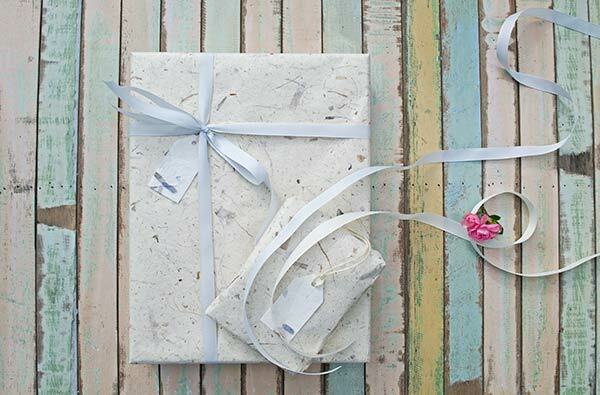 Lovingly presented in an earth tone cotton gift bag.